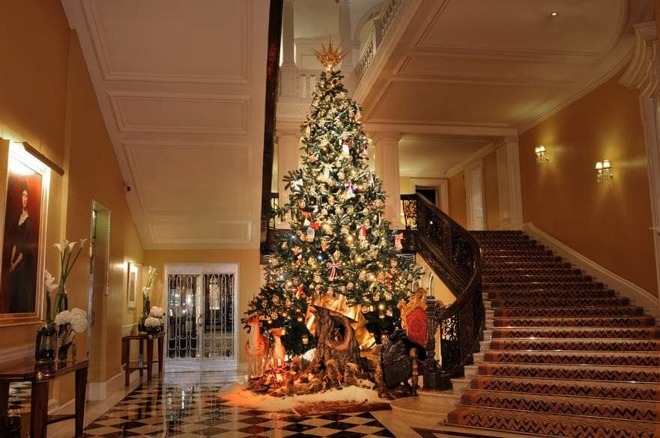 Apple design officer Jony Ive's next one-off project will be a collaboration with designer Marc Newson on the 2016 Claridge's Christmas tree, a staple of the holiday season in London. Dolce & Gabbana's version of the tree. The tree will be unveiled on Nov. 18 in the Claridge's hotel lobby, according to an announcement. For seven years now the hotel has been inviting guest designers to work on the tree, some other examples coming from firms like Burberry and Dolce & Gabbana. Ive has close ties with Newson, for instance having worked together on a number of projects sold at auction for charity —including a special red version of the Mac Pro. Two years ago Newson was even hired to work part-time at Apple, likely on the Apple Watch. He may have also contributed to past Apple products in a stealth capacity. As chief design officer, Ive is thought to be taking less of a day-to-day role at Apple, which may help afford the time for work like Claridge's.